Life of a Catholic Librarian: The book club poll is open! Well, look at that, I remembered! We'll ignore the fact that it was a bit of a close one - I remembered as I gulped down my lunch at my desk and was mentally berating myself for not yet thinking of a blog topic for the day. But hey - we'll take it! There is now a poll along the right side margin of the blog. If you'd like to read along for a summer book club, please do go and vote! The poll is open for about 2 weeks. Unfortunately, Blogger does not have the functionality added into the poll widget to add links (boooooo! ), but I have all titles, series and authors listed there for easy copy/pasting into Amazon. And I'm going to briefly talk about each here with the links as well. Let's chat! I kept 2 of the books we talked about previously during Tea Time, and I tweaked 2 of the others. In the rich tradition of Francine Rivers’s Lineage of Grace series, comes a beautiful retelling of the biblical story of the woman at the well—bringing to life this poignant young woman struggling to survive love and heartbreak. 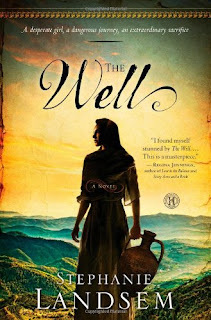 For the women of the Samaritan village of Sychar, the well is a place of blessing—the place where they gather to draw their water and share their lives—but not for Mara. Shunned for the many sins of her mother, Nava, Mara struggles against the constant threats of starvation or exile. 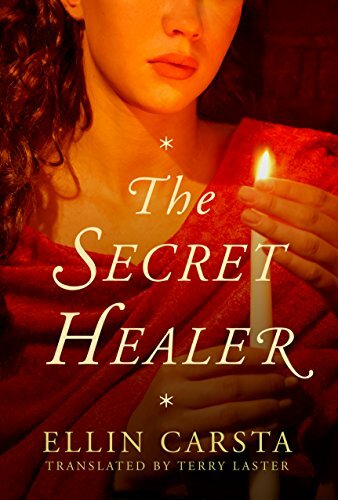 Mara and Nava’s lives are forever changed with the arrival of two men: Shem, a mysterious young man from Caesarea, and Jesus, a Jewish teacher. Nava is transformed by Jesus, but his teachings come too late and she is stoned by the unforgiving villagers. Desperate to save her dying mother, Mara and Shem embark on a journey to seek Jesus’ help—a journey that brings unexpected love and unimaginable heartbreak. I'm not certain whether the treatment of the Church in this one would be positive or negative, so that's a consideration in voting, for sure. It certainly is an intriguing premise, though. After nearly losing his life to an assassin, Stephen LaPointe resigned from his pastorate as a Congregational minister. He made this radical decision as the result of a crisis of truth. This decision had many immediate ramifications for his vocation, his career, and most significantly for his marriage and family. Now a year later, no one knows where he is. He has disappeared. Out of love, as well as remorse, several people an old friend, his estranged wife, and a potential enemy set out separately to find him. This is a story of conversion of heart, of mind, and of love. The story really sounds like it will stand alone, to me. So I do not think anyone would feel lost not having read book 1, and honestly, it's been so long since I read it, that it's like I'm reading this one as a stand alone. 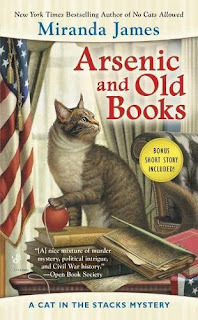 This title is book 6 in that series, but cozy fiction titles always can stand alone, so I think it would be fine for us to jump in at this point. 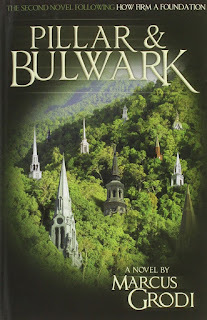 I've read book 1, and this particular installment really grabbed me with the premise. And so we have 4 contenders. Two have female protagonists, and two have males; 3 are either inspirational or religious-based fiction, and 1 is secular, so a nice mix. All of these books are available both in print, and as ebooks, so you'd have your choice, and can see if your public library has them in either form. What do you all think?! Go ahead and vote! I thought I had decided what book I wanted to vote for but the new options also sound good. I'll have to think about it and vote tomorrow. *rubs hands together in glee* I'm enjoying checking the stats each day to see which book is winning! Only two of them are at my local library so that narrows it down a fair bit. There's not a huge obvious choice for me so this one is going to be tricky. I'm so excited! It's good to have multiple interesting choices. We can always save titles for a future book club that don't get chosen this time! Definitely a tough decision. All four books sound great! No matter how the vote goes, the other three are going on my to-read list. I'm so glad Kevin! So pleased that you'll be joining us. Can't seem to find the poll but my vote would be for the cozy mystery. The Marcus Grodi book sounds cool too. I'm not areal fan of historical fiction set in Biblical times so neither of those sound appealing to me as a summer read. Since I'm going to be reading a lot of both wwII and contemporary summer camp books for research projects, I hope to participate if possible. Duh, read the fine print before replying. Donna, lol. Glad you were able to vote!